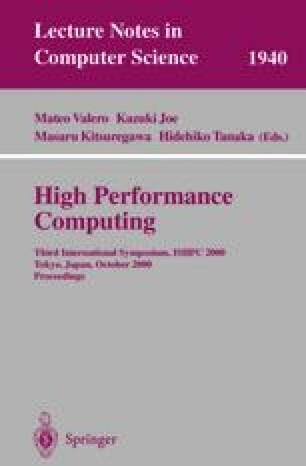 For the past two decades, developments in DRAM technology, the primary technology for the main memory of computers, have been directed towards increasing density. As a result 256 M-bit memory chips are now commonplace, and we can expect to see systems shipping in volume with 1 G-bit memory chips within the next two years. Although densities of DRAMs have quadrupled every 3 years, access speed has improved much less dramatically. This is in contrast to developments in processor technology where speeds have doubled nearly every two years. The resulting “memory gap” has been widely commented on. The solution to this gap until recently has been to use caches. In the past several years, DRAM manufacturers have explored new DRAM structures that could help reduce this gap, and reduce the reliance on complex multilevel caches. The new structures have not changed the basic storage array that forms the core of a DRAM; the key changes are in the interfaces. This paper presents an overview of these new DRAM structures. EMS. 2000. “64Mbit — Enhanced SDRAM”. Enhanced Memory Systems, http:// www.edram.com/Library/datasheets/SM2603,2604pb_r1.8.pdf. Fujitsu. 2000. “8 x 256K x 32 BIT Double Data Rate (DDR) FCRAM.” Fujitsu Semiconductor, http://www.fujitsumicro.com/memory/fcram.htm.